Whatever will you wear for beach frolicking? Serious question. 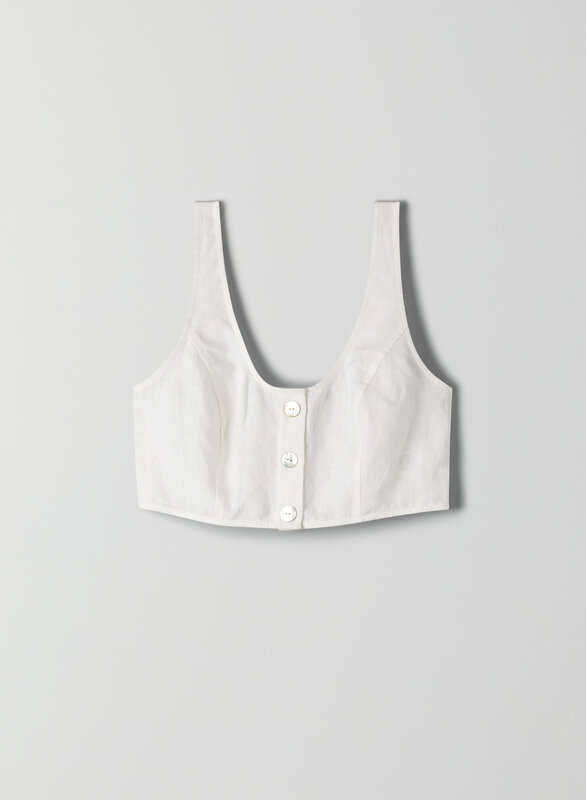 This is a button-front, scoop-neck bustier tank made with a softly structured, linen-cotton blend fabric.